Here at Talking Bull we look ahead to the Bulls game against Welling United at Edgar Street on Saturday. The Emirates FA Cup 3rd Qualifying Round tie will come as a welcome distraction for the Bulls following their poor sequence of results in the Vanarama National League North. Can the Bulls bounce back and pick up the £15,000 prize money? Simon Wright casts his eye over the Bulls opponents. This is a tough draw. Pleased to be at home – Welling is 185 miles away – though our opponents are only two points off the top of the National League South. They are based in Bexley, which is a London Borough. On their website Welling describe the tie as “mouthwatering”. Does this sound a tad OTT to you? So mouthwatering the Supporters Association have cancelled their coach due to lack of interest. The Wings average just over 500 supporters for home games so don’t expect much travelling support. Given that the only alternative was Truro, Welling will be pleased to play us. Truro is much further away, so much so an overnighter might be required. Also, a game at Edgar Street means money in their bank balance. They’d only get an IOU at Torquay. And if you want to be Frank, Welling will fancy their chances of taking home the £15,000. Welling United FC are Johnny Come Lately in football terms, being younger than most Radio Hereford presenters. They were founded in 1963. By 1986 – just 23 years onward – they were in the Football Conference and stayed there for 14 years. They were relegated in 2000, needed 13 years to get back before being relegated again in 2015-16. Last season, they finished 10th in National League South. Unusual situation for Welling. Their owner is Mark Goldberg. Interesting guy who played Non-League football, made multi-millions in the phone business and then bought Crystal Palace FC. As you do. In fairness, as a child, he lived next to Palaces ground and regularly attended their games so it was always his club. Eight years later, he bailed out of Palace. The club had sucked up over £30 million of his money and the guy was bankrupt. From there, he became manager of Bromley and then Welling before buying the club in 2016. His son Bradley is in the Welling first team squad which always raises the nepotism question. Goldberg Junior will point out he was the Wings top goalscorer last season (with 10). Goldberg is certainly an interesting character and I do recommend reading his autobiography. Effectively Hereford FC face a new football team. The goalkeeper is new, the whole defence, apart from one player who is injured anyway is new, all the midfield and most of the forwards – the club secretary must have put in overtime to sign virtually a new squad. 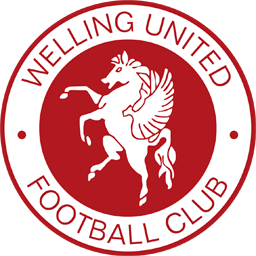 Apart from being new, the average Welling player is at least 25-years-old with 10 or more clubs behind them and they will have their own Wikipedia page. One name which will be familiar is wide man Gavin McCallum who scored at Bath in their last game. Gavin played a few matches for Hereford United in the 2009-10 season. 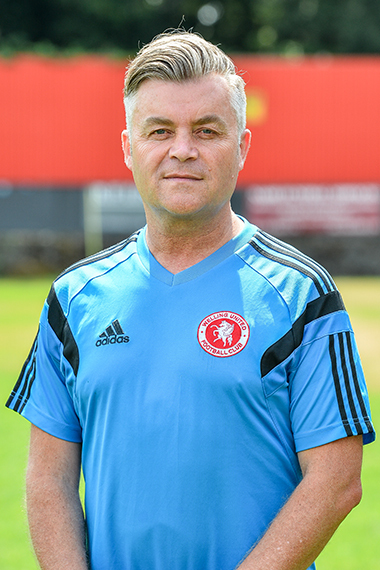 Welling is his 16th club. Stattos will recall he holds a full cap for Canada. And if you think 16 is a lot of clubs, defender James Hurst has had 17 previous including WBA and defender Braham-Barrett is at his 23rd club. And he’s only 30. The whole club feels a bit like a travelling football circus. In the squad are 3 Frenchmen, a Canadian, a full Montserrat international and 3 from Guinea-Bassau. Contrast that with Hereford who are basically just English or Welsh, apart from Mayabi if he’s still with us? The Welling squad is Swelling. Like that? They’ve had a lot of injuries so added two players on loan in late September. One was a striker as their own forwards aren’t scoring but he is cup-tied so can’t play at the Street. By end of September they’d already used 25 players. All those welters of changes suggest a bunch of strangers struggling for coherence. Not so. So far, the season looks good for Welling. King has his side in 3rd place with 21 points from 11 games. `21 goals scored, only 4 by strikers. The Conference South is tight so one defeat can drop you several places or conversely raise you a couple. Best not to mention a second game. We touched on the subject in the last round and look what happened. We got a replay. Looking at October with 4 away games already, two of them in midweek, it’s a big ask of our players already without adding a fifth. That all said, we must acknowledge the London Bulls who would really like just one fixture in their manor. Dutifully acknowledged but we still don’t want an extra game. Turn out next Saturday if you can. If you haven’t picked up the latest Talking Bull yet – Sorry, demand took us by surprise – remaining stocks will be on sale.